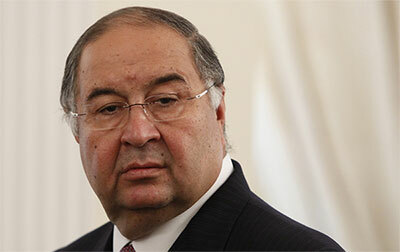 Billionaire Alisher Usmanov is a Russian oligarch with a twist. Mostly known for his thirty percent stake in Arsenal FC, Mr Usmanov is also famous for the in-your-face style with which he habitually displays his vast personal wealth. Flying about in his custom-fitted Airbus 340 wide-body jet and maintaining a few pricey properties in London, does not necessarily make Mr Usmanov a figurehead of frugality. However, this perhaps archetypical representative of Russian nouveau riche also has a few powerful, and surprising, tricks up his sleeve which possibly constitute redeeming qualities. In December 2014, Mr Usmanov paid $4.8 million (£3.18m) at an auction in New York City for the Nobel Prize Medal awarded to US molecular biologist James Watson for his research on the structure of nucleic acids. This work later led to the discovery of the double helix structure of DNA. Dr Watson shared the 1962 Nobel Prize for Physiology or Medicine with fellow researchers Francis Crick and Maurice Wilkins. Mr Usmanov features prominently on the Sunday Times Giving List which shows him donating no less than £114 million to worthy causes in 2014. Going by the past few years, it would seem that Mr Usmanov is determined to annually gift about one percent of his £10bn fortune. The Russian bestows his largess mostly on the arts, science, and sports. A talented sabre fencer who represented his native Uzbek SSR (Soviet Socialist republic) at international competitions, Mr Usmanov in 2012 was re-elected to a second term as president of the International Fencing Federation. He also sat on the council of the 2014 Sochi Winter Olympics. As a patron of the arts, Alisher Usmanov is a man of great gestures. He regularly buys up great collections which are subsequently donated to museums. In 2007, Mr Usmanov managed to avoid the piecemeal sale of the famed art collection owned by the late Russian cellist Mstislav Rostropovich. He plopped down £20m for the collection and donated it to the Russian state. The artwork is currently housed at the Konstantinovsky Palace near St Petersburg. Mr Usmanov also intervened to buy up the rights to a large collection of rare classic cartoon movies which he entrusted to a Russian television network for children. Mr Usmanov made his fortune in the wild and confusing years following the collapse of communism with investments in mining and heavy industry. He has since diversified into technology, publishing, and broadcasting. Mr Usmanov wisely keeps close to those in power and is regularly showered with awards and medals bearing rather pompous titles such as the Order for Service to the Fatherland IV Class. He also dislikes press freedom, especially when it inconveniences his friends in high places, sacking the editor of his Kommersant Vlast magazine after the publication of a picture showing a ballot paper with a scribbled note suggesting President Vladimir Putin engage in a lascivious act. I’m not sure that “least offensive” is how I would describe Mr Usmanov. However, being a Gooner, let’s hope his largesse means that we can finish above Chelsea this season. It’s going to take more than largesse to beat Chelsea this season.